Bouj founder Keith Francois after a game of cards with Marsha Gill. 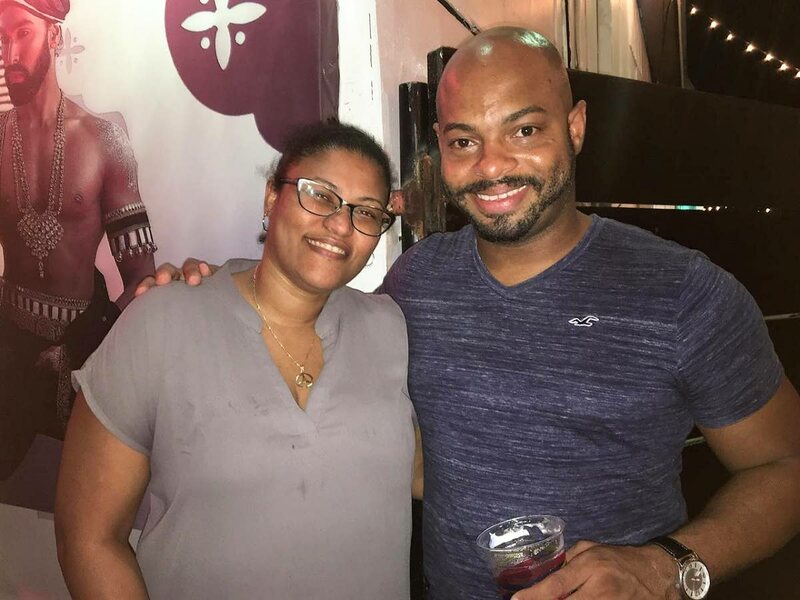 BOUJ CONCEPTS and Services launched with a fun-filled night of drinks, finger foods and vibes at the Lost Tribe mas camp at 59 Alberto Street, Woodbrook, last Friday. 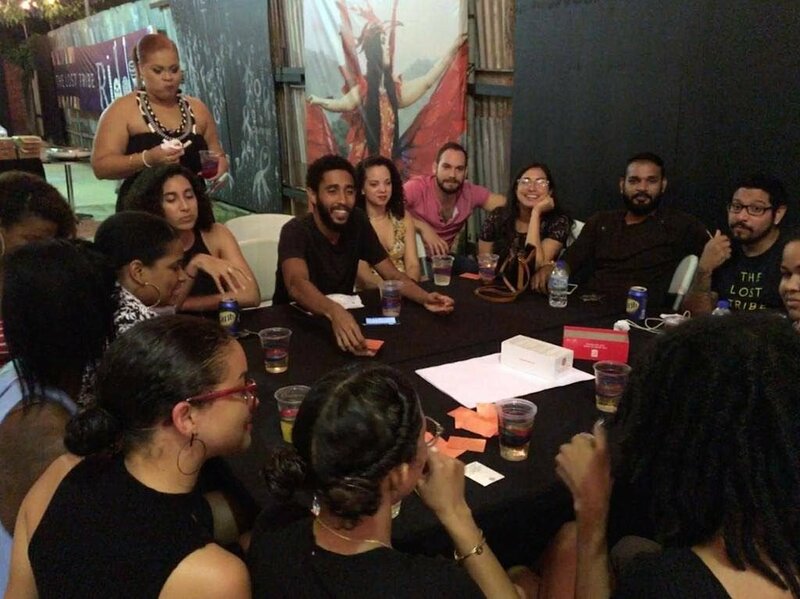 The event saw TT millennials turning out in numbers to share in a night of laughter around tables playing a wide range of games. 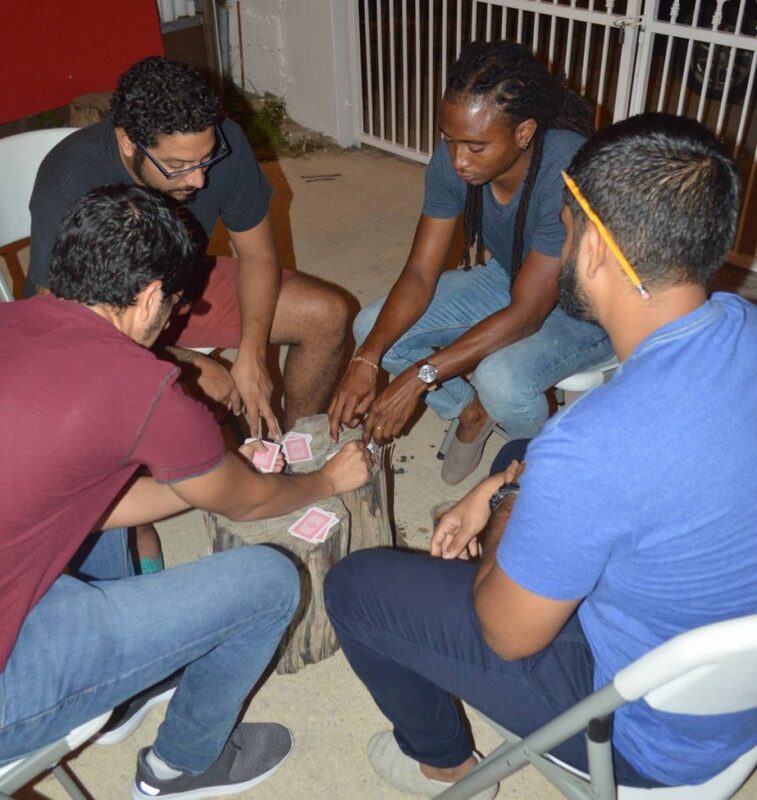 The game night reintroduced a different way of liming to this age group— a new way of doing something that always existed in the Caribbean. Playing board games while socialising is generally part of conversations about the “good ole days,” where face-to-face interaction was the definition of socialising, versus today’s social media and other forms of modern entertainment. The concept taps into the childlike parts of the spirit that fuels fun competition—a refreshing alternative for spending a fun Friday night with friends after a long week. 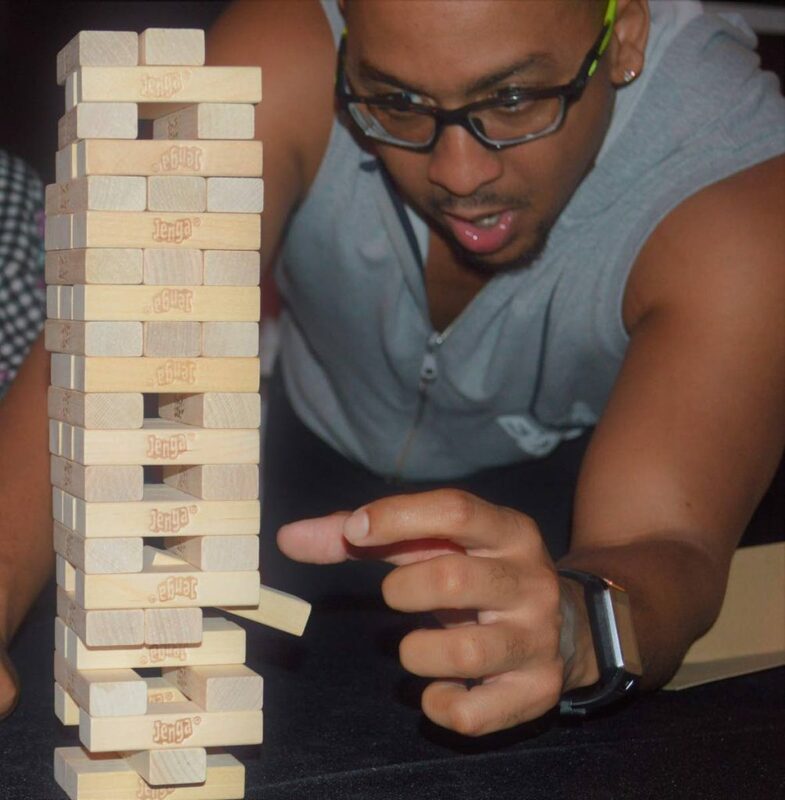 O'neil Allen tries to successfully remove a block in a competitive game of Jenga. Games available at Bouj limes include Never Have I Ever, Taboo, Jenga, Uno, Family Feud, Monopoly, and Scrabble, to name a few. A full table of players enjoy a game of Never Have I Ever. Francois said he intends to make an impact on the entertainment market by meeting the needs of those who may not be seeking to go to parties or go clubbing, but still seek to have fun in a public social setting with friends. A circle of brethrens focused in a game of cards. Within the year, he is working to see Bouj events putting on large-scaled events, which he hopes will become a staple in TT. The next Bouj event is planned to take place by the end of October. Bouj also caters to those who prefer to rent from their wide range of games. Updates and further information are available at @boujconcepts on Instagram. Reply to "Socialising with old-time and new board games"